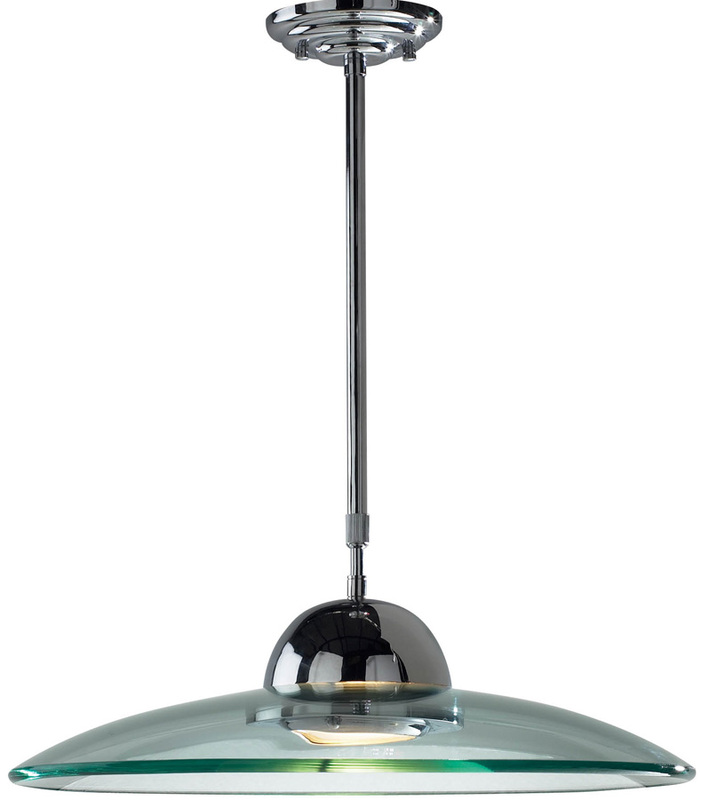 Unusual modern design, with a polished chrome ceiling mount and central telescopic stem. The large clear glass shade houses a very bright 100w dimmable halogen strip lamp. Perfect for any breakfast bar or dining table. Height adjustable at the time of installation only. Minimum height 60cm – maximum height 80cm.